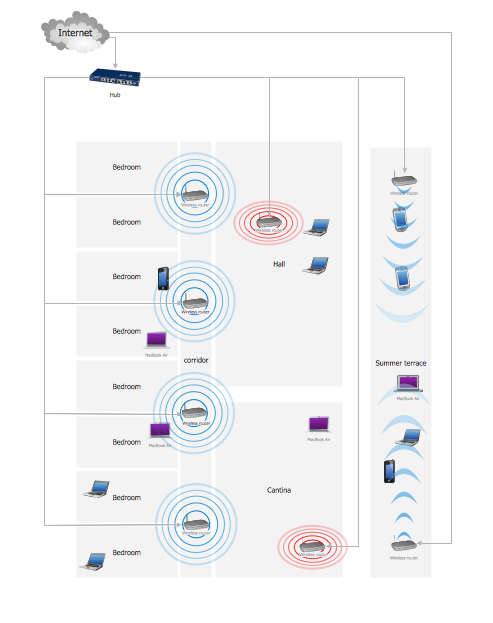 This sample shows the arrangement of the routers and other WLAN devices in the hotel. This diagram allows you to see how the Wi-Fi connection to the Internet is realized in the hotel. Wi-Fi (Wireless Fidelity) is a wireless technology that allows to electronic devices exchange the data or connect to the internet in the 2.4 GHz and 5 GHz bands.